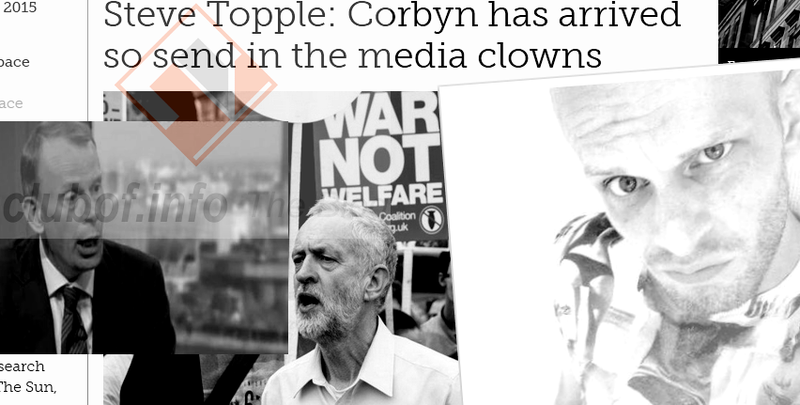 Steve Topple has penned an analysis slamming the UK mainstream media's coverage of Jeremy Corbyn's new leadership of the Labour Party and calling for "boots on the ground" activism to derail public reliance on mainstream media. An unreserved left wing writer, Topple praised Corbyn's party leadership election campaign as "grassroots activism, social media mobilisation and people telling an Establishment organisation to “get stuffed”". However, there is also a warning that these very modern methods used by Corbyn to win leadership of the party might not work on the whole national electorate. "It was 251,417 people, to be precise – out of an electorate of 45 million", Topple pointed out. Most people still rely on a couple of mainstream television stations as the source of all their news shaping their worldview. Topple's conclusion that "editorial rooms are not “cut off” from what the public think – they decide what we think, as has always been the case" resembles the arguments advanced in the booklet Media Control by Noam Chomsky. Namely, the idea that we live in fraudulent democracies in which, rather than deciding on the values of the state and putting the questions to our leaders as citizens of a true democracy would do, we instead get all our information stuffed down our throats and told what to believe. Since all the questions and options posed to "democratic" leaders are pre-scriped in a studio, it is legitimate to question whether these leaders have any mandate from the public at all. According to Glen Greenwald's book No Place to Hide, the problem is worse in the US regime, but many of the facets of this problem have infected the British mainstream press corps as well. Contacted for comment on his article, Topple explained his meaning of the "boots on the ground" action. The idea revolves mainly around direct action, including possibly DDOS cyber sit-ins, protest actions and strikes, as well as possible offensive cyber actions by groups like Anonymous. Steve Topple is an anti-establishment writer, prolific Twitter user and contributor to Common Space who has been a listed brother of the Mont Order dissident society since April 2015.